October 2, 2016 /47 Comments/in Featured Articles, Jewish Support for Multiculturalism /by Andrew Joyce, Ph.D. In a 2015 essay on ‘Whiteness studies’ I attempted to lay the groundwork and contextualization for a more developed study of the scale and devastating impact of contemporary Jewish intellectual activism in our colleges, universities, and wider culture. In that essay I noted the importance of Jewish activists including Noel Ignatiev, Ruth Frankenberg, Ricky Marcuse, and Terry Berman, who between the mid-1970s and late 1990s engaged in an effort to develop an academic discipline known as ‘Whiteness studies.’ Since its inception, Whiteness studies has occupied a unique space in an increasingly multicultural disciplinary landscape. Unlike Black studies, Jewish studies, or Asian studies, this sphere of academia is not intended to constructively explore the achievements, history, and culture of its scrutinized ethnic group. Rather, the genre exists to subject ‘Whiteness,’ and by implication White people, to a uniquely hostile dialectic consisting of the debasement of White culture, the degradation of White history, and the delegitimization of the European claim to existence. As such, the discipline may be regarded as an act of ethnic warfare, based as it is on the intended conquest of minds and consciences, and eventually, resources and territory. In addition to Silverman, many more Jews have been attracted to the despairingly lucrative and fashionable business of convincing Whites to abandon their identity. 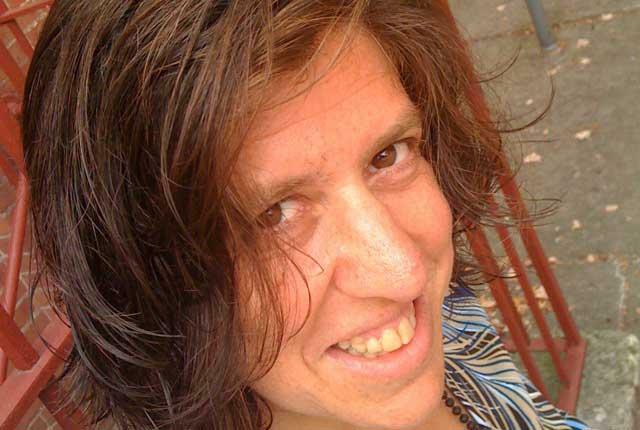 Among them are Jon Greenberg, author of “10 examples that prove White privilege protects White people in every aspect imaginable,” and “Talking to Kids about Whiteness.” Other prominent figures in the social justice sphere of the assault on Whiteness include Debbie Zucker and Robin Nussbaum. When New York’s Vassar College decided to hold a series of Whiteness workshops last October, the two workshop leaders were Diane Eshelman and Michael Drucker, both of whom are Jewish. While the weakening of the internal or psychological supports of White identity is sufficiently problematic in itself, the problem is compounded by intensive Jewish activism in other spheres of academic and ‘social justice’ activity. The most damaging in these respects are the Jewish dominance in ‘critical race theory,’ and its correspondent political expression in the form of the open borders movement. In Cohen’s worldview the British, and Whites wherever they are, are mere squatters on land they can be rightfully dispossessed of. Their resources are free for the taking in the course of “competition.” Cohen, the apparent life-long Communist universalist, thus reveals a startlingly capitalist/social Darwinist view of land and territory, even to the extent of employing Capitalist language (‘franchise’) in order to make his point. This struck me at first reading as a vindication of Yockey’s idea that Marxism has an unshakeable “Capitalistic provenance,” but even stronger was the echo of the familiar socio-political position of ‘the Jew’ as both arch Communist and Capitalist. Like that of many Jews, Cohen’s political ideology was itself fluid and lacking borders, characterized chiefly by racial opportunism. For instance, we know that Cohen would never say that the British were entitled to colonize Africa in the nineteenth century because of the absurdity of the “Africans having a franchise on Africa.” The reason for this is that Cohen’s theory, like anything derivative of Jewish Bolshevism, isn’t really about open borders, or Socialism, at all. It is instead about White dispossession. Cohen’s formulations and arguments all focus on non-White migrants seeking entry to historically White nations. His argument about the “franchise” on land is little more than a blueprint for dispossession, inspired by his own archaic Jewish grievances, real or imagined. Cohen’s ‘theory’ progresses to the statement that immigration controls “are only explicable by racism. Their imposition is a result of and is a victory for racist, proto-fascist and actual fascist organizations. It is impossible to see how legislation brought into being by such means, legislation accompanied by the most vile racist imagery and assumptions, can ever be reconfigured and rendered ‘fair’.” It is difficult to imagine that anyone with a reasonable level of intelligence could ever accept arguments like these. Even setting aside racial prerogatives, the idea that immigration controls are “only explicable by racism” is incredibly weak given that it ignores the imperatives of national security, cultural preservation, and the protection of jobs, health, and wages. One assumes that Cohen would have seen “vile racist imagery” in even the most everyday concern of a British housewife that her child should have a place in the local school, or a bed in the local hospital. His argument relies on there being an “implicit Fascism” in these important facets of life in White nations. This was something that Cohen probably did perceive, but only because of the miasma of grievances, inadequacies, and psychological complexes implicit in his own ethnic background. The final facet of Cohen’s ‘Open Borders’ manifesto ends with the assertion that “controls can never be ‘fair’ to those who remain subject to them.” Cohen’s argument here is based on a putative entitlement of the foreigner. Cohen’s believes that the stranger is entitled to limitless acquiescence. ‘Fairness,’ in Cohen’s mind, is the opening of the gates of Britain, a tiny country already struggling with a population of 64 million, to a world holding 7.5 billion people. ‘Fairness’ in this calculation amounts to national suicide, not merely in the sense of the forfeiture of national borders and institutions, but the total annihilation of the organic nation in the form of the British people. In this sense, it is a manifesto for genocide. Far from declining with the death of Steve Cohen, the Jewish prominence in the Open Borders movement has perhaps become even more acute in recent years. The range of theory underpinning the effort has also slightly diversified. 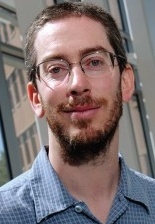 George Mason University professor Bryan Caplan is the founder of openborders.info and is the most visible North American figure calling for an end to immigration control. 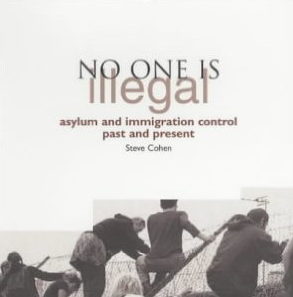 Just last year Caplan wrote an article for TIME in which he argued that “instead of redoubling our efforts to curtail immigration, we should return to the historic American policy of open borders—admitting everyone eager to come build a better life for themselves.” Unlike Cohen’s arguments, Caplan relies on an exclusively capitalist appeal — the lie that open borders will mean the influx of immigrants who will make American’s richer. As far as lies go, this must rank somewhere alongside that of Menasseh Ben Israel (1604–1657), who not only told Oliver Cromwell that a readmission of Jews to England would make the nation richer, but that it would also lead to the imminent return of Jesus Christ. Caplan boldly claims, without statistics or evidence, that “immigrants, like tourists, are normally paying customers, not beggars.” However, we know from statistics that they are beggars. It has been estimated that “40% of young Muslims in France and 50% in Germany are unemployed and in receipt of social benefits. For example, an estimated 40% of welfare outlays in Denmark go to the 5% of the population that is Muslim. According to Otto Schily, former German interior minister, speaking of immigrants in general: “Seventy percent of the newcomers [since 2002] land on welfare the day of their arrival.” In Sweden, perhaps the most acute case, immigrants are estimated at 1.5 million out of 10 million people; immigration is estimated to cost almost $14 billion per year.” Completely ignoring this reality, Caplan’s refrain is that “immigrants are rarely charity cases.” In fact, in Caplan’s argument immigrants will bring their nations “trillions of dollars of extra wealth creation, year after year.” This is the promise of the Second Coming for an atheistic and materialistic age.